Clan Titan • View topic - Member Services officially closed. This is a decision that has been long in coming, perhaps overdue. The simple fact in the matter is that Titan, as well as Dragon Court in general, has not seen the amount of activity and participation that it once enjoyed. Many of our members and staff have moved on to other ventures. We no longer have the ability to operate the services to our members (Clan Armory, Rankfund, etc) for which we once held ourselves in esteem. As such, we will be closing them down effective immediately. We'll keep the forums archived here, as perhaps someday we may be able to offer them again, though it seems unlikely. Additionally, we will be closing the Member Access thread and making the previously members-only forums accessible to all visitors to the forum. It was a great run. Titan and DC have existed for more than ten years, which is a very long time in the world of web games, especially considering the game was based on technology from the mid-90s. Also, consider for a great portion of that time, Titan enjoyed the #1 ranked spot of clans in the game. 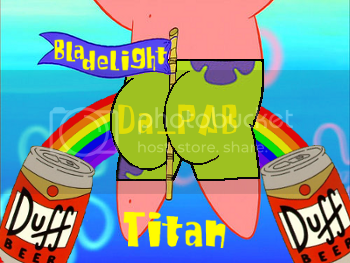 In our own minds, Titan will always be on top, whatever the numbers say. Re: Member Services officially closed. Long live clan Titan, and a big thanks to curu and everyone else, though I forget your names I remember your generousity. Even if the game (and the forums) are dying, I'll never forget them and will always be grateful for my time involved in them.